Psst! Keep a basket of extra blankets nearby and handy, ready for everyone to wrap up warm in when the temperature drops! Ah, any excuse to add more winter accessories to my collection. Having recently bought, styled and fallen in love with an Oatmeal Chunky Cable Knit Hat, I popped back over to Mint Velvet and discovered this Apricot Pom Pom Hat. At this point, I have no willpower against pom poms. Seriously, none. In fact, I've even got my eye on the raspberry version too! We also need to talk about mittens. No really, bear with me on this one because for anyone else with terrible circulation, they're a godsend! Having tried thermal gloves of every kind (even self-heating gloves! ), to my surprise it's been these Crew Clothing Snowflake Mittens that have actually kept my fingers warm - even in Cologne's subzero temperatures last week! They're fleece-lined and literally feel like hugs to the hands. Try them. Okay, onto the serious stuff. 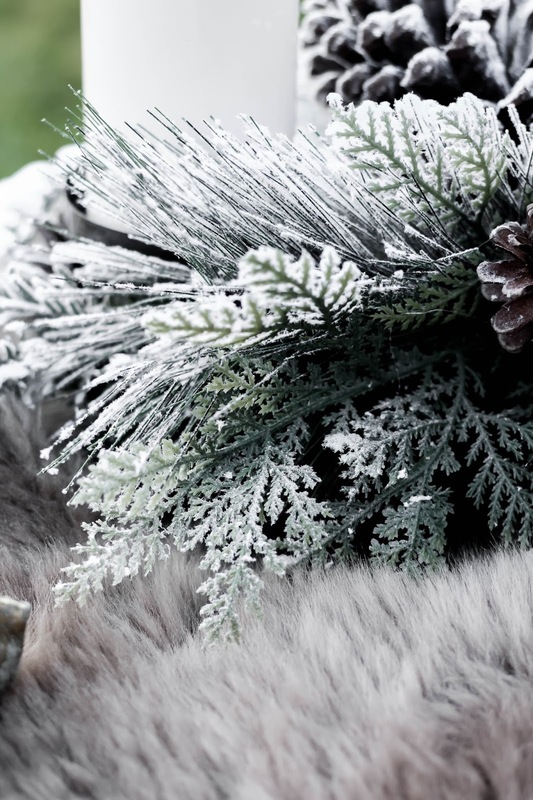 What does it really take to create a Winter Wonderland scene in your very own garden? First of all, the closer to your home, the better. That way, you can dip indoors whenever needed; for extra flasks of hot chocolate, to fetch more blankets - or to answer the door to more guests without freezing outside of your blankets for long! Bring any outdoor furniture you have into a nest and try to cover as much of it as possible with fur throws, blankets, or even old duvets you no longer use. Got a spare basket or two? Fab! 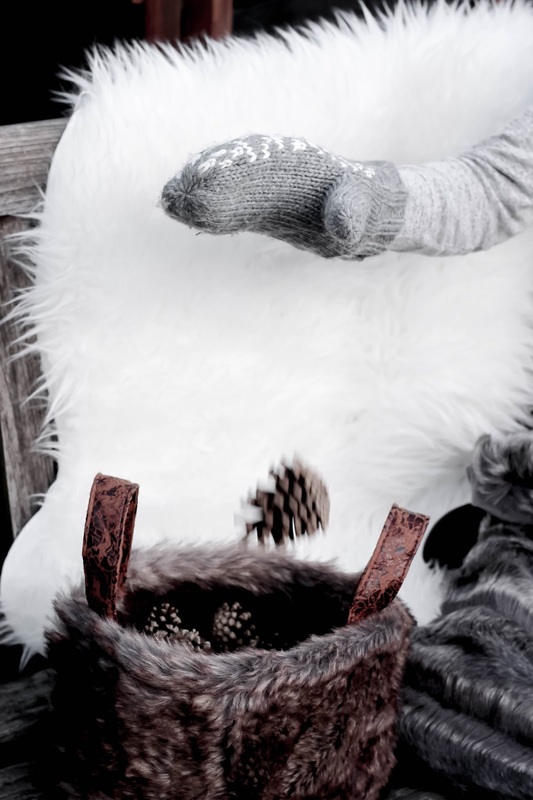 Fill them with fir cones, logs and other things that make Scandinavian Christmas scenes spring to mind. 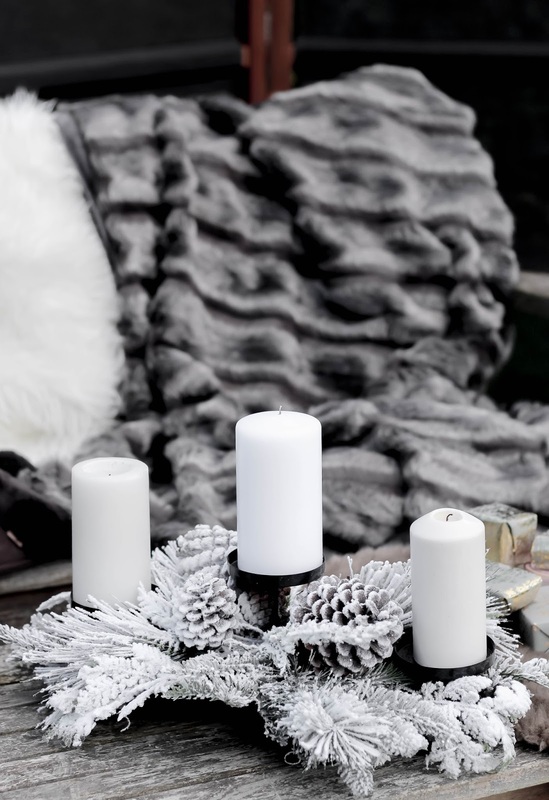 Better yet, find a large centrepiece to make the focus of your Winter Wonderland setting. I've used this spectacular Snow Pine Votive Holder c/o Amara Living, which although is now sold out (no surprise there!) is still available in Flock Pine Wreath form. Speaking of which, Amara is the ultimate destination for festive homeware treats this season - just take a peek at their wreaths and garlands! Perfect. Ahem, I own more candles than I care to admit to. Thankfully, this Snow Pine Votive Holder lends itself to getting out the matches! If there's a strong breeze, you could also consider candles placed inside lanterns of varying heights, or string up weatherproof fairy lights around your setting - can you imagine how cosy the atmosphere would be?! A few final thoughts before you disappear to brainstorm your very own Winter Wonderland scene. Firstly, don't skimp on the snacks and warm drinks. 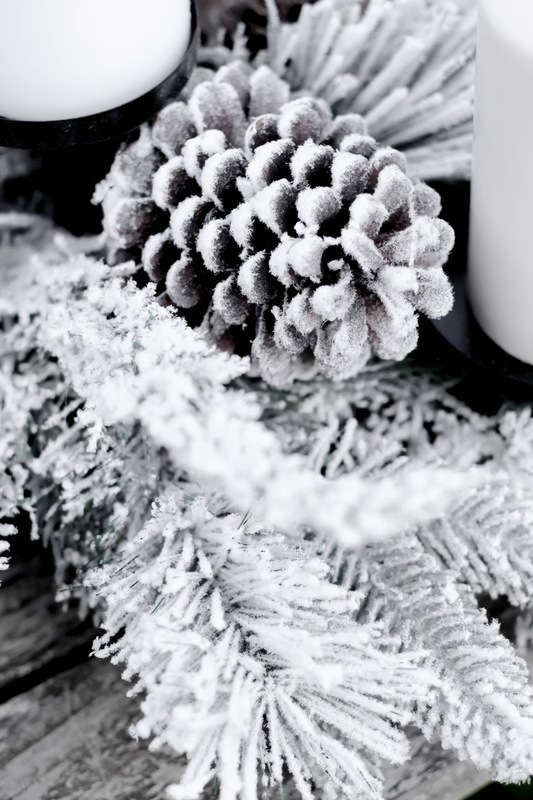 A few fabulous options include mulled wine, hot chocolate with amaretto and gluhwein. Better yet? Invest in a fire pit and go scare a sales assistant with how many marshmallows you're buying. Guaranteed to be a crowd pleaser at your private Winter Wonderland themed gathering. Secondly, if your patio flows out from a large space, you could set up a projector screen and enjoy a festive film night on a big scale. Garden privacy screens (check out IKEA) lined up around your setting will also help keep the breeze at bay. And finally? If you happen to have a freestanding patio heater to hand, for the love of God use it! Everywhere you look right now is Winter Wonderland themed thanks to the snow. Dreamy. And there's no need to feel sad about it melting when you can create a snowy scene in your very own outdoor space, anytime you feel like it! It's the perfect excuse to invite a few people over and indulge in the season. So looking forward to hearing your thoughts on this post. Love the theme, snow and everything winter related? Or can't wait for it all to end? Let me know in the comments below! Liked this post? 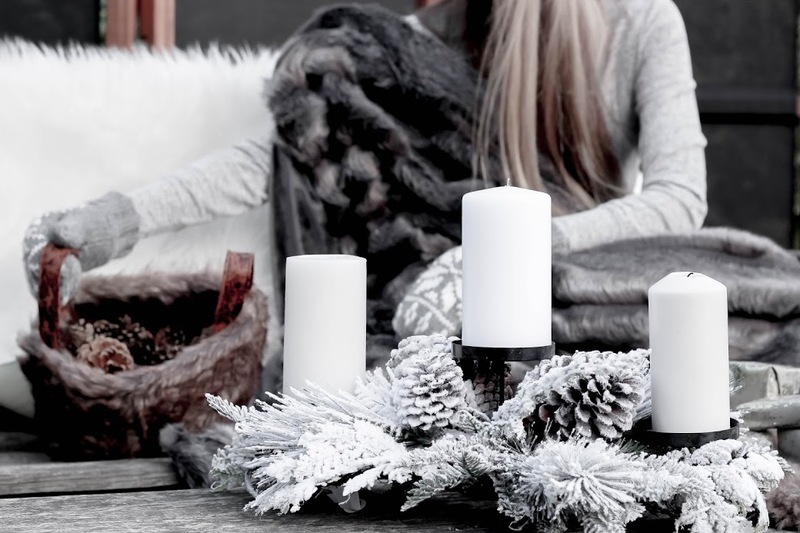 You might also enjoy >> Is Hygge Still A 'Thing'? YAY Christmas and snow! I love your hat! You are so freakin' adorable. And blankets are my favorite part of the wintertime. Love your other tips! oh that looks so beautiful and luxurious. Must feel great to snuggle under. You can never go wrong with candles and blankets! We didn't get any snow this winter though, well, once but it didn't stick for more than a day. This monochrome look seems so so adorable! Love this cozy surrounding and look! Yes, the snow was a nice pre-Christmas gift :) Here in Bavaria we had also snow but in the last two days a lot went away - but it looks like as if we would have soon more snow! Love the adorable pictures, thanks a lot for sharing! It looks so pretty. I love the snowy clippings. OMG everything looks so cute, I love it!! And sadly its snowing everywhere in Europe except where I live... but I won´t loose hope, maybe this week will happen!! You definitely created a lovely winter wonderland indoors Gabrielle. 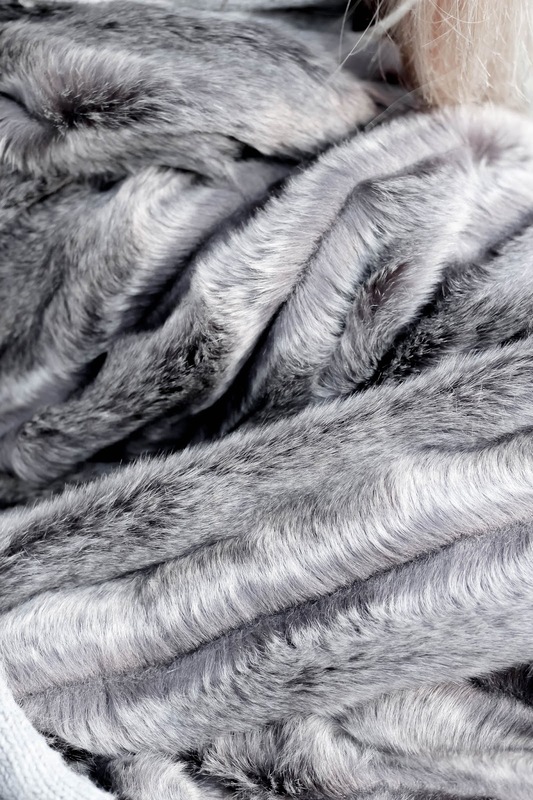 I can't think of anyone who doesn't enjoy snuggling with a cozy furry blanket. We actually have so much heat in our apartment during the winter that we wear shorts and t-shirts at home but I'm definitely not complaining. This post is so comforting! I think it's the amount of blankets here haha, it just makes me want to get a soft blanket, candles and warm pyjamas - this is the definition of heaven for me right now! This is a lovely post, very creative - the pictures are beautiful! Ha! I've loved seeing the snow in your part of the world all over Instagram. I genuinely never get tired of it. So magical! This post is magical as well. Everything looks so cozy and chic - you've made me want to turn my space into a little den for the Winter! Surely I've got all of the supplies you've mentioned laying around... Hope you're having a great week Gabrielle! This is such a lovely post dear. I love all the pieces you're using for your decor, really lovely winter wonderland theme. Also, your beannie is quite cute too. Great tips! I love the cozy feel! Great suggestions for staying cozy in the winter! 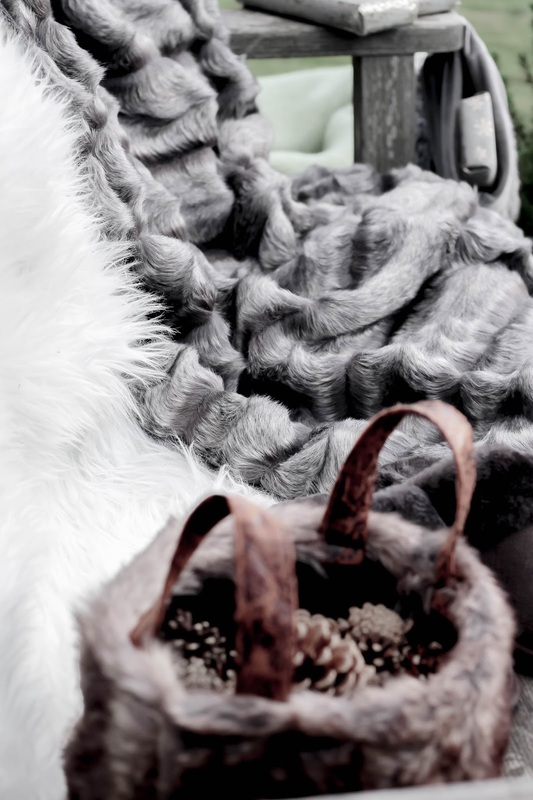 Love the elegant feeling of the faux fur blankets, such a perfect piece to add a little luxury to your home! I love staying cozy in the winter and these photos make me want to sit by a fireplace and just chill haha. Loved this! Ohhh enjoy the snow! Soft cozy blankets are the best and I love your mittens. Everything here is so white christmas. Snow here is already gone, but that won´stop me from creating a winter wonder land that looks as cozy as yours. 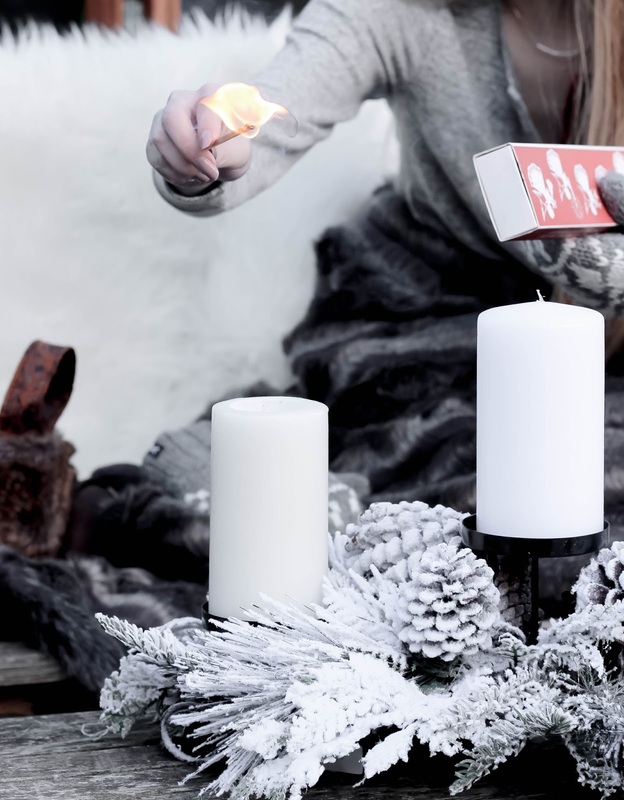 What a beautiful & dreamy guide on how to create the perfect winter wonderland at home. Just looking at your photos is deeply relaxing! (need to invest in a freestanding patio heater!). Have a nice weekend, Gabrielle! Hope you're having a wonderful week lovely! Ahhhh this is so gorgeous and cozy!! 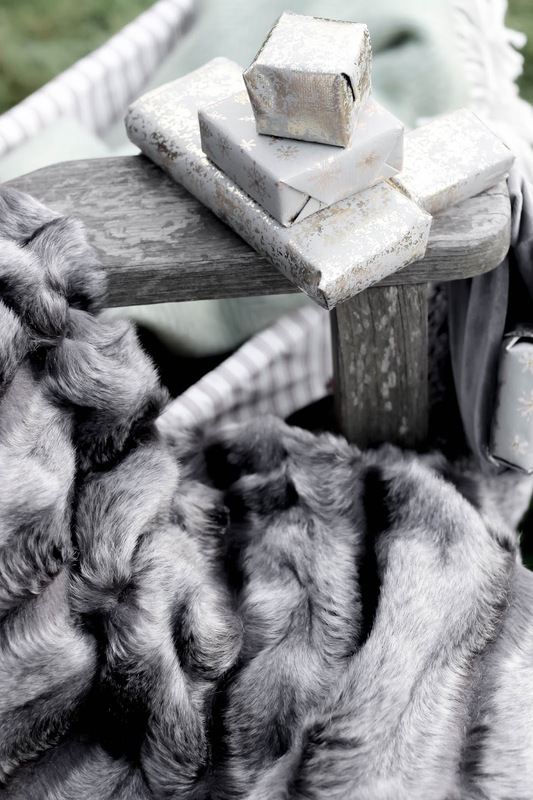 I love all the faux fur blankets and Christmassy vibes. I'd love to recreat a winter wonderland atmosphere like this, Gabrielle!!! So luxuriou, elegant and cozy at the same time! Even if I don't like cold, I looove snow, and I'd like if it snow here too! It's snowed SO much in Toronto in the last few days! I mean any snow at all for me counts as a lot because it doesn't snow at all in Australia, but it's been snowing pretty intensely, and the temperatures have been as low as -22 with windchill, so although the snow is pretty, it's much nicer to experience it from inside rather than outside! It's definitely the season for cosy loungewear and nice warm blankets, that's for sure. Woah this is amazing! What a good idea! I love how you created your own winter wonderland. Turned out so pretty! Although this would be ironic for us down under since it's so hot in Australia! Seriously lusting after EVERYTHING in this article! I adore the soft colors and all the cozy fabrics. This is one of my favorite parts of the holidays! I am actually honestly not festive whatsoever, but I loved this post and it definitely made me want to do this! Love your photos, they're amazing! This is such a stunning post Gabrielle, I really enjoyed reading this and your images are just beautiful. 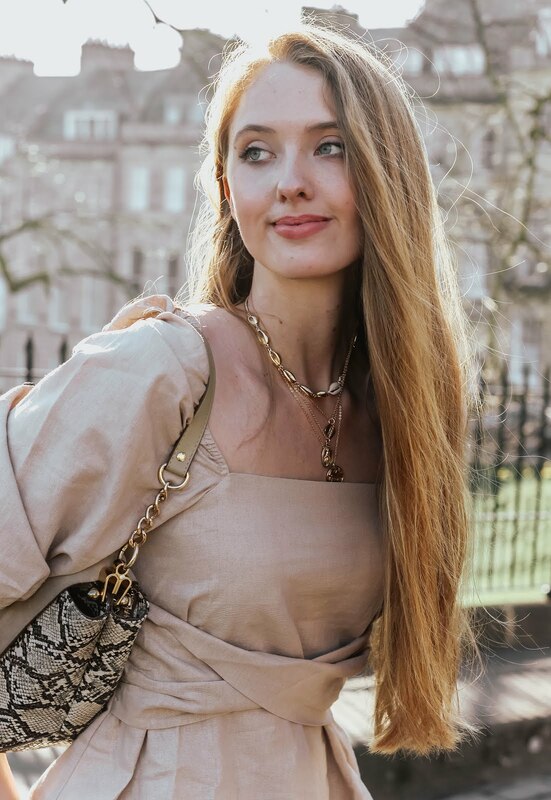 You really do suit comfortable lounge wear and look so snuggly in this Winter inspired post. Sending love and festive cheer! I felt cozy only from going through this post! Thanks for sharing - got some really great ideas for Christmas decorations!